ANU has entered discussions with the Ramsay Centre to offer a degree in ‘Western Civilisation’. 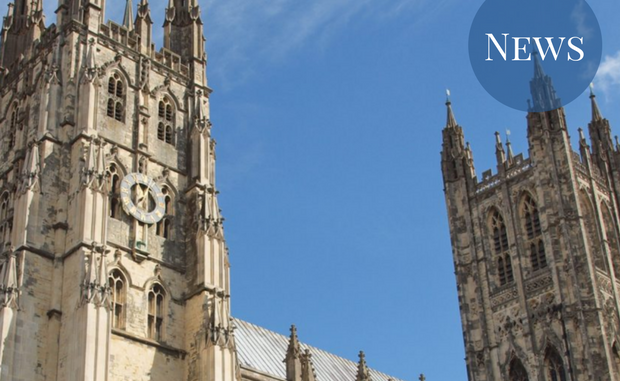 CASS will host a forum on Tuesday to discuss the proposed programme, which has been met with mixed reactions from student bodies and staff. The Ramsay Centre for Western Civilisation stated the proposed ANU degree “is intended to promote a deeper appreciation of the manner in which the legacy of Western civilisation, in all its aspects, has shaped the successful nation that Australia is today”. However, Vice Chancellor Brian Schmidt was keen to assert the academic integrity of ANU in relation to its negotiations with the Ramsay Centre, saying that the work of its academics “is grounded in excellence, critical inquiry and a strong tradition of academic independence, integrity and freedom”. “These values are fundamental to ANU and we will be working with the Ramsay Centre to ensure they are enshrined in any agreement,” he said. The Ramsay Centre was founded in 2017 using a bequest from Paul Ramsay AO. Its stated purpose is to “advance education by promoting studies and discussion associated with the establishment and development of western civilisation, including through establishing scholarship funds and educational courses in partnership with universities”. Its board includes former Prime Ministers John Howard and Tony Abbott; former Labor leader Kim Beazley; Liberal MP Julian Leeser; and the National President of the Shop, Distributive and Allied Employees Association (SDA). Speaking in Canberra in February, Leeser said the Centre would help prevent Australian leaders “jettisoning’’ traditional institutions and “repeating historical errors by making decisions without understanding their consequences”. The Ramsay Centre’s website includes quotes from controversial Canadian academic Jordan B. Peterson, and another from Bernard Lewis claiming that “Western technology made slavery unnecessary”. 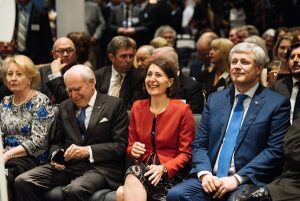 Janette Howard, former Australian PM John Howard, NSW Premier Gladys Berejiklian and ­former Canadian PM Stephen Harper at the opening of the Ramsay Centre last year. ANUSA has responded cautiously to the proposal, with ANUSA President Eleanor Kay telling Observer, “‘Western Civilisation’ is often used as a rhetorical tool to continue the racist prioritisation of Western history over other cultures.” Nevertheless, Kay wished to “acknowledge that there is value to learning from Western Civilisation, without prioritising it over others”. In terms of a response, she promised to “work with the university … to ensure a robust and intellectual debate regarding the place of the Ramsay Centre within the ANU”.